MJS Packaging has long been considered an industry leader in glass, and has sold and stocked glass bottles since being founded. Since ancient times, glass has proved to be a great packaging option for the beverage industry, and it remains true today. Glass bottles provide excellent uses for the food and beverage industry by maintaining the quality of their contents and protecting the product from external factors. Glass bottles come in various colors and sizes, depending on your specific needs. 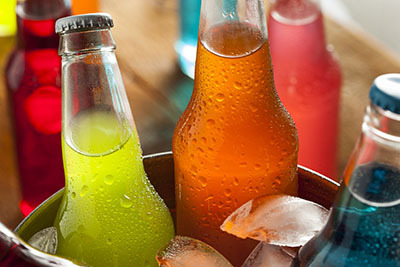 In this blog, MJS Packaging will cover essential information about glass bottles and key benefits on why using glass is an ideal option for the food and beverage industry. MJS Packaging offers an extensive collection of glass bottle styles in various colors, capacities, and neck finishes. 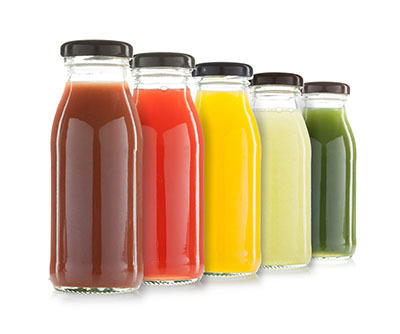 Drinks, such as fruit and vegetable-based beverages, are safe in glass bottles due to their non-toxic material. Flavor Brilliance and Freshness: When it comes to packaging food and beverages, there’s no need to worry about products losing flavor in a glass bottle. Glass is an impermeable material that keeps air and other liquids out, which means that glass bottles never affect the product’s flavor or freshness. Additionally, external temperatures, such as heat, do not affect the material or shape of the glass, unlike plastics that could melt and affect the product quality. Because of this, food and beverage products remain extremely fresh when packaged in glass. Glass bottles also help the packaging’s internal temperature stay the same, so products don’t spoil. Product Safety: Glass is one of the safest materials you can use for your consumable products. It’s non-toxic and doesn’t require any other material lining. Recognized as GRAS (Generally Recognized as Safe) by the FDA, and being the only widely-used food packaging material to do such, proves why glass is a great choice for food and beverage manufacturers. Display Appeal: Glass has been, and will always be, considered premium quality. A glass bottle’s shelf life extends for years and its color never fades. MJS Packaging’s glass bottles are transparent and can show off your product. Utilizing various glass colors can also incorporate your brand’s colors and/or overall identity. Every glass bottle is recyclable and allows consumers to do their part in creating a cleaner environment. Sustainable: MJS Packaging supplies glass bottles that are made from 100% natural sustainable raw materials, which are infinitely recyclable. Using glass helps reduce additional waste, which is an ideal benefit of all product packaging since recycling is becoming an even bigger topic and action for many consumers. As illustrated, there are plenty of reasons to consider glass for your food and beverage products. Let MJS Packaging be your choice for glass bottles for your food and beverage packaging needs. 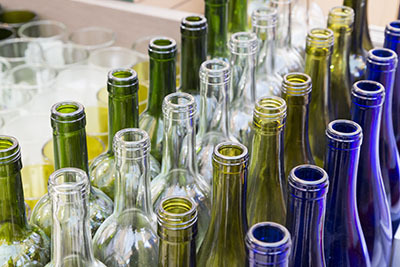 Ready to Choose Glass Bottles for Your Product? MJS Packaging’s packaging solutions specialists are ready to help you explore the benefits of glass bottles and choose the perfect style for your products. Contact us or call us today at 800-915-2262 for more information.